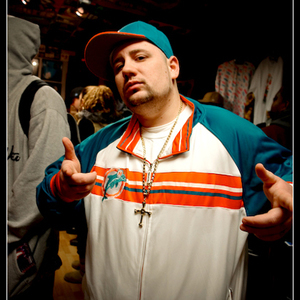 Puerto Rican and White, Born and raised in Queens, New York, J-LOVE began producing as a teen under the tutelage of The PhatHeadz, a crew of engineers down with the legendary Jam Master Jay. As he began to gain local notoriety for his beat-making skills and mixtapes, he was offered a record deal in 1997 with the now-defunct Freeze Records. Revered in hip-hop for his inventive Best Of mixtape series, J-LOVE has recently released his own compilation album, appropriately-titled Better Your Life. The first album produced, financed and distributed solely by a New York deejay without the backing of a major record label, Better Your Life has not only the soulful, gritty sound reminiscent of early 90s hip-hop but appearances by heavyweights Nas, MOP and Cormega make this LP a rare treat.